The ADA requires that all washrooms, whether they're newly constructed or renovated, must be usable by people with disabilities. The United States Access Board is an independent Federal agency devoted to accessibility for people with disabilities. They developed and continue to assess and evaluate the accessible design guidelines known as the ADA Accessibility Guidelines or "ADAAG". The ADAAG contains requirements for new construction and modifications to existing structures to ensure accessibility in accordance with ADA. ​On March 15, 2011, the Department of Justice adopted the ADA 2010 Standards for Accessible Design. View the current ADA Standards. Click here to view the ADA requirements relative to public restrooms. 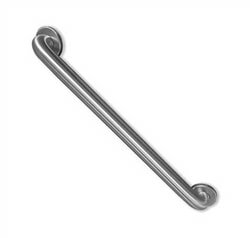 The ADA has specific guidelines for the physical attributes and location of grab bars depending upon the type of space in which they will be installed. The ADA specifies the size and configuration of accessible shower seats as well as the positioning relative to the shower controls. 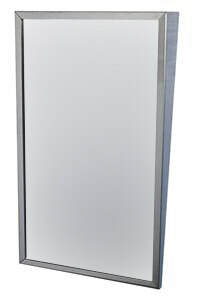 The ADA requires that the reflective surface in the bathroom be accessible to individuals in a wheelchair. This is typically accomplished with a fixed tilt frame mirror of the specified dimensions.